Taking Climate Change Seriously in our Schools. What are your best Tips for Teaching About Climate Change in Your Classroom? Taking Climate Change Seriously in our Schools. What are your best Tips for Teaching About Climate Change in Your Classroom? 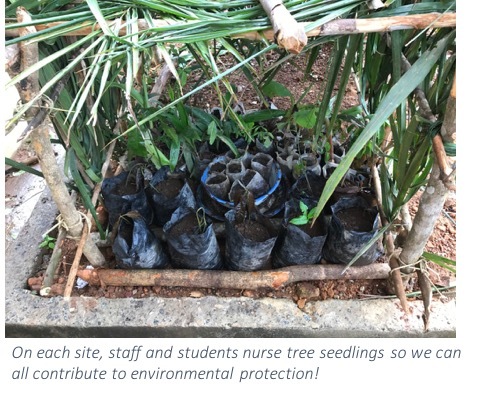 Strangely, and somewhat frustratingly, it has been quite difficult over the years to get our students in Sierra Leone to think about taking their part in protecting the environment and taking climate action seriously. I understand that when there are so many immediate and pressing issues for survival to be surmounted, the threat of a change in climate is hard to focus on because it feels so much more nebulous than ‘Will I eat today?’ or ‘Can I persuade anybody to give me some money to buy malaria treatment?’ etc. 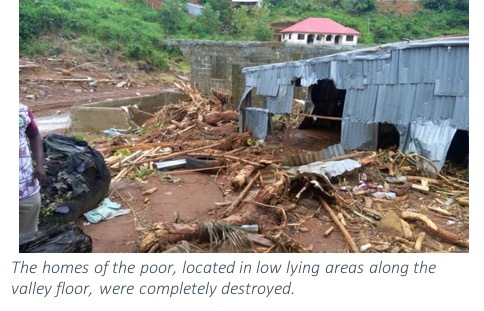 However, a lot of Sierra Leone is coastal and as sea levels rise, we will be affected and it will then be too late to make the difference. Last August however, life found its own way of getting our attention. 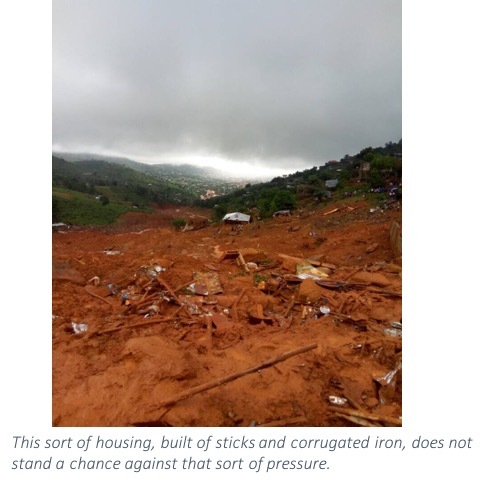 I am not saying that the mudslide and consequent flash floods were entirely due to climate change, but I am saying that the increasingly ferocious storms are part of a changing pattern that aligns with other extreme weather events that look like climate change and certainly leave the poor particularly vulnerable. 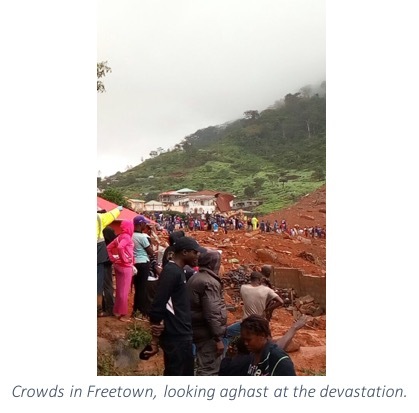 The extreme weather alongside the failure to enforce environmental protection laws resulted in devastation on 14th August 2017 and over 1000 deaths. Because this was during the holidays, many of our students had gone away to visit family so the impact on our community was less than it might have been, but 4 students lost their lives, 84 students lost their homes and all their property, as did 7 of our staff and many of the students lost their entire families too. Many of those students, as well as their colleagues then started engaging. 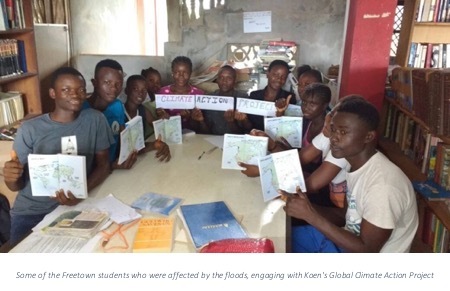 Koen Timmers (@Zelfstudie top ten finalist for the Global #TeacherPrize) ran a global exchange programme https://www.climate-action.info/ which engaged students from all over the world. Our students got to see (a little because of the internet access issues!) what other students were learning in other places as well as doing some investigating of their own and thinking through ways they too can have an impact on environmental protection and take action to reduce climate change. It was indicative of human nature that it was so difficult to get the students’ attention until people they knew or they themselves were involved but the lesson from this is that we do need to help our children see the links between global events and issues and real life. Our youngsters engaged with Koen’s project and have renewed their efforts on our tree planting project. 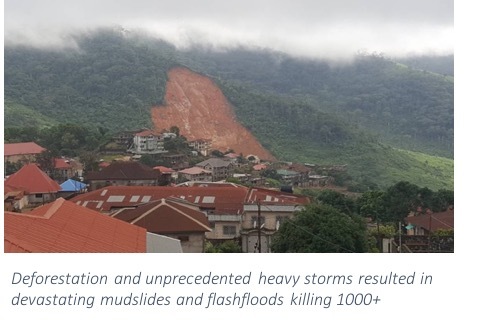 Had the hillsides not been deforested over the last 15 years, the mudslide would not have taken place even if the storms were crazy. Replanting trees does matter! As ever, survival at the lowest levels of society can distract from bigger issues that are often controlled by people who may or may not have the interests of the little people at heart. Our education must be one that helps our youngsters to lift up their heads and globally engage. 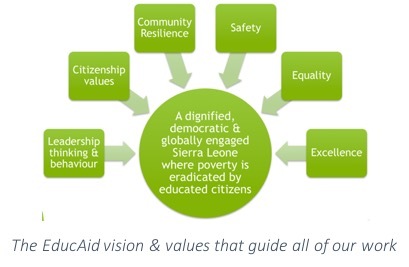 EducAid’s vision is of a dignified, democratic and globally engaged Sierra Leone where poverty is eradicated by educated citizens. As we continue to work out what that looks like, we are grateful for the opportunities granted by Koen’s project and other projects like it. We recommit ourselves to a values-led education at which awareness of global issues such as climate change and our responsibilities within that context are key. Thanks to all of you who help us in these endeavours. How are you promoting well-being, health and happiness in your classrooms?